Dresden is the historic capital of the Free State of Saxony, the royal residence for its Electors and Kings. Situated on the river Elbe, this ‘Jewel Box’ of Baroque and Rococo architecture has inspired artists for hundreds of years. Although it is perhaps most familiar to us now as the city which endured such horrendous bombing at the end of the Second World War - this is to misunderstand the charm and beauty of this city, much of which has been restored, especially in the years since German reunification. The best places to stay in Dresden provide the modern traveller with a stylish base from which to explore this most enchanting of cities. For centuries Dresden has been at the centre of German cultural, educational, political and economic life. There are myriad attractions to cater for every taste. Although a major city, Dresden has a distinctly ‘villagey’ feel. It is one of the greenest urban areas in Europe with nearly two thirds of the land being park and forest. Dresden Heath covers fifty square kilometres and includes four nature reserves. There are over one hundred natural monuments to be seen, and In 2004 the Dresden Elbe Valley was awarded World Heritage Status. There is so much to see and do...here's our pick of the best! Visit the magnificent Frauenkirche - now completely restored - and don't forget to climb the dome, the views are epic even on dull days. the Semperoper - one of the most beautiful opera houses in the world and where Wagner premiered many of his works. Take a river cruise down the Elbe, for a relaxing way to see the sights from a different perspective. There are twelve major museums, art galleries, a state library, botanical garden. There are festivals to enjoy; notably the Bunte Republik Neustadt in June and the Dixieland Jazz in May to name but two. Dresden is also a mecca for film buffs with many small cinemas screening art house movies. It is a wonderful destination for a short break, and our pick of the best places to stay in Dresden are perfect bases for exploring the city. 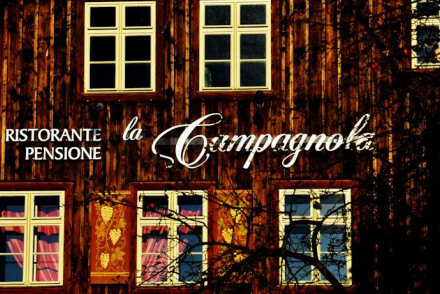 Set in a striking 400 year old building overlooking the Elbe, Ristorante e Pensione la Campagnola is full of character and charm. The eccentric rooms are colourful and funky offering views out over the river. However, the real highlight is the magnificent Italian restaurant, run and cheffed by the hotel owner. The Bulow Palais is a stylish five star hotel with gourmet Michelin starred restaurant and luxurious accommodation. It enjoys a great central location, ideal for the nightlife and all the sights. 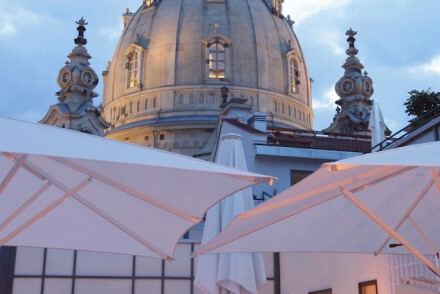 Right in the heart of Dresden, Hotel Taschenbergpalais is a formidable five-star property. Style and elegance pervades throughout the establishment from its deluxe suites to its excellent selection of restaurants. Perfect for an indulgent break in Dresden. Hotel Suitess is another luxury pick. It enjoys a fantastic location a stone's throw from the Frauenkirche, and offers a range of sumptuous rooms, suites and apartments all decorated in the Biedermeier style, plus a wellness area with sauna, whirlpool and relaxation rooms. Nestled into the hip Neustadt district, Villa Romantika is a charming hotel. Its eight lovely rooms are individually decorated with floral wallpaper and antique furniture. A great option for people looking for a comfortable, low-cost hotel. 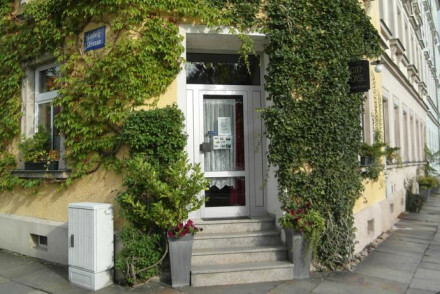 City Oase is a delightful family-run hotel a short walk from the river. Well-priced and comfortable, the characterful rooms give off a distinctly bohemian vibe from their decor. A good value choice. The Bulow Residenz is a good four star property which also offers great value. Its rooms and suites are traditional and spacious and prices start from just €89 per night. QF Hotel is a modern designer hotel also in the heart of the city, close to all the smart shops, markets and business district. It's a seriously sleek option whether you're here on business or leisure. Just out of town you'll find the Einfach Schon, a contemporary property with floor to ceiling windows, a flower filled garden, spa and outdoor pool. The best time to visit Dresden is from June to September, when the temperature sits in the twenties. Nothing here that fits the bill? 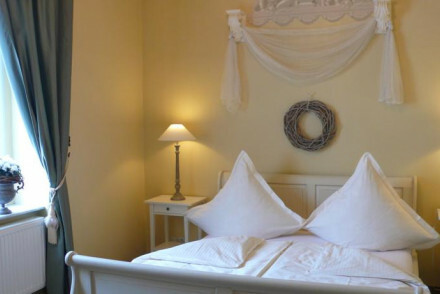 A charming B&B in the artistic district of Neustadt in Dresden. The characterful rooms are individually decorated with floral wallpapers and tasteful furniture. It's a great location for people looking to explore a trendy part of Dresden. Excellent value for money. Value chic - A reasonably priced option for exploring the city on a budget, without compromising on comfort or style. Sights nearby - Visit the fascinating nearby Kunsthofpassage Dresden. Lively area - Trendy, artistic area of Dresden. A small family-run boutique hotel in a quiet part of central Dresden. Spacious chic rooms are all individually styled with an interesting array of antiques and artwork giving a bohemian feel. Indulgent breakfasts served in the elegant reception room. A homely stay with a tranquil garden. Value chic - Centrally located and very reasonably priced with plenty of space and artistically designed. Sights nearby - The Semperoper, Frauenkirche and Green Vault are all just a short walk from the hotel. An enchanting 400-year-old building situated on the river. Individually styled rooms with bright colours, original features and modern art. An excellent Italian restaurant run by the owner and head chef. A friendly, well located, spot for city exploring. A great choice. Foodies - Run and owned by the chef this is a foodies haven. Dine at the fabulous Italian restaurant in the atmospheric dining room. Cooking classes - Take a cooking course with the chef and learn how to make Italian cuisine. Sights nearby - Discover Dresden Castle one of the oldest buildings of the city. 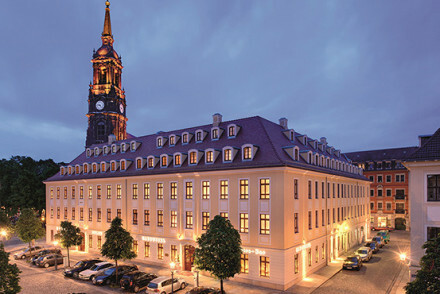 An ornate 4-star hotel and former manor in the heart of Dresden, offering luxury rooms and suites. The rooms feature rich hues, antiques and are furnished in the Baroque style. An excellent starting place to explore Dresden, the hotel organises reservations for restaurants and the opera. Local exploring - From attending the opera or theatre, taking a guided tour through Dresden or cycling down its lovely streets. Find complete tranquility just outside the historic city of Dresden. 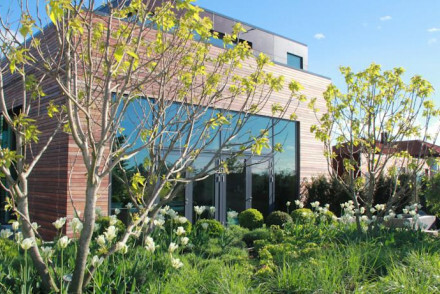 Smart contemporary rooms boast glass fronted walls leading onto a flower filled garden. Enjoy the glorious spa, outdoor pool, and indulgent breakfasts. A perfectly relaxing rural base with easy city access. Total relaxation - A retreat from the hustle and bustle of city life, brimming with tranquility and boasting a spoiling spa. Great walks - Situated right next to the Zschonergrund nature reserve where there are miles of picturesque trails. Sights nearby - Visit the restored Dresden Castle and marvel at the striking architecture. 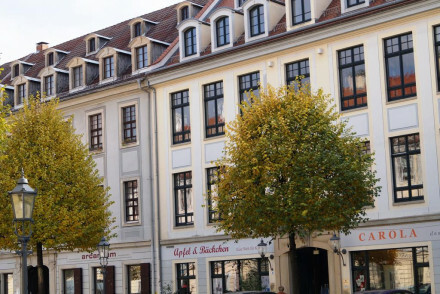 An elegant boutique hotel in the centre of Dresden's old town. Classic Italian interior design meets contemporary style in the hotel's spacious suites, with natural stone-tiled bathrooms. Have a drink in the Bellini lounge or enjoy the spectacular views from the rooftop bar. A luxury city hotel. 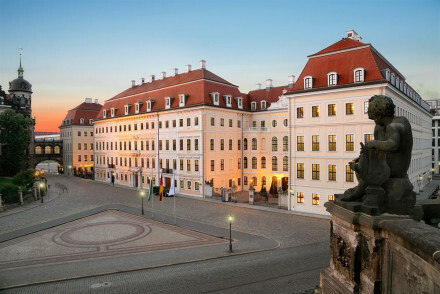 A stunning 5 star luxury hotel well located in central Dresden. The baroque facade sets the tone for the elegant interiors that stay true to its historical design. Spoiling rooms feature delicate antique furniture and soft hues. The exclusive apartments provide complete privacy. Very chic. Local exploring - Well located with access to many of the city's best attractions and across the road from the famous Frauenkirche Church. Sights nearby - Make a trip to the Residential Palace with its treasure chambers. A stunning boutique Five Star hotel in the Baroque centre. Eclectic decoration and bright colours throughout create gorgeous rooms and suites. Plus there's a Michelin starred restaurant, and top of the range spa. An iconic spot to explore Dresden from. City Style - Top of the range facilities. Sights nearby - Dresden’s Royal Palace. Traditional - An 18th century building. A five-star luxury property located in the heart of the historic centre. Traditionally styled throughout, the elegant rooms boast large sash windows, a collection of fine antiques and endless space. Numerous restaurants and bars will appeal to all appetites. A spoiling spa for city relaxation. Local exploring - Well located in central Dresden's Altstadt, close to Dresden Castle and all the main historical sights and attractions. City Style - Bask in the upmost in style and glamour at this luxurious 18th-century Baroque palace. Sights nearby - Be sure to visit the nearby Dresden Castle and Frauenkirche Church. A minimalist hotel in Dresden's inner city. 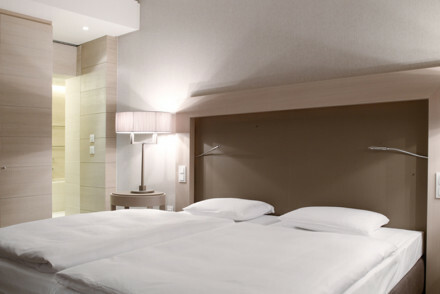 Contemporary rooms and suites have subtle lighting, slick lines, and all the mod cons. Lively Bellini bar, brunch restaurant, and excellent conference facilities. Luxurious, but reservedly sombre. Idea for business guests as well as city visitors.